​In the twilight years of the PlayStation and the beginning of the PS2's mammoth run, the fifth gen console was still receiving its fair share of titles. C-12: The Final Resistance is one such game, coming from the developers of MediEvil and Beast Wars. 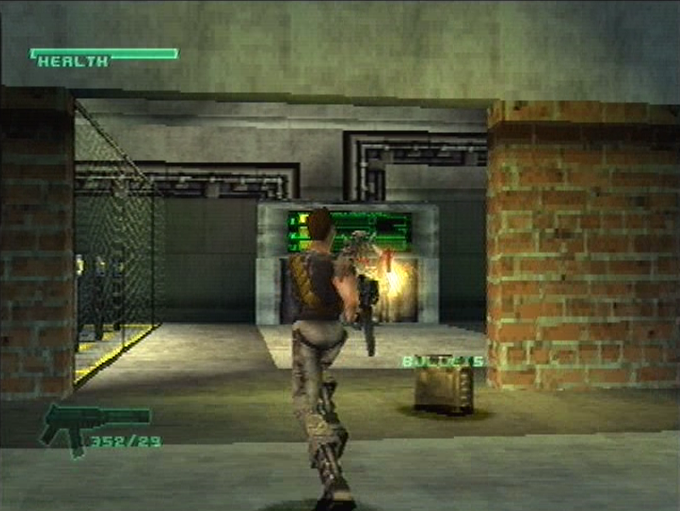 Released in 2001 to little fanfare and a mixed critical reception, it ended up being dubbed a poor-man's Syphon Filter. But it feels like more than the sum of its parts, offering a decent slice of sci-fi schlock despite some frustrations. Offering a typical alien invasion story, our protagonist is Riley Vaughn, a lieutenant whose optical implants give him an edge. As part of an underground resistance, you are led into battle alongside other members in an effort to push back the alien force that is hell-bent on harvesting our resources. It’s not exactly original, but it feels like it attempts to ape a cheesy sci-fi movie from the 80s. From the childish insults the protagonists and a particular enemy henchmen exchange, to silly things like Dr Carter's highly revealing clothing, it can come off as a bit b-movie, but in an enjoyable way. But it’s really the gameplay which stands out. 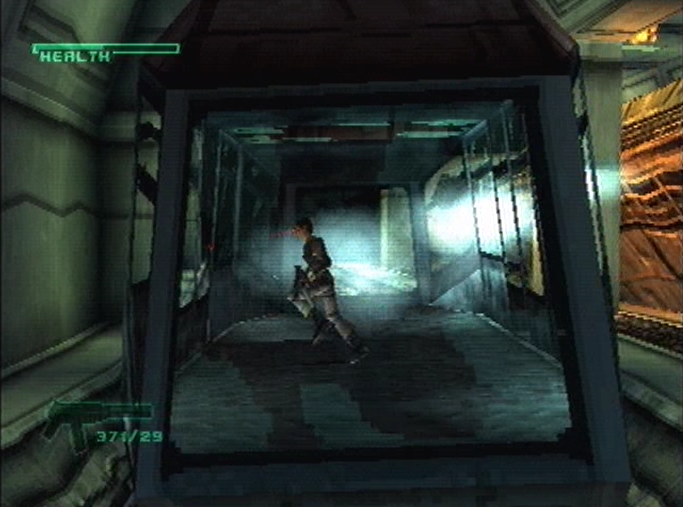 Yes, it plays nearly identical to the Syphon Filter games, but that means you get solid mechanics. 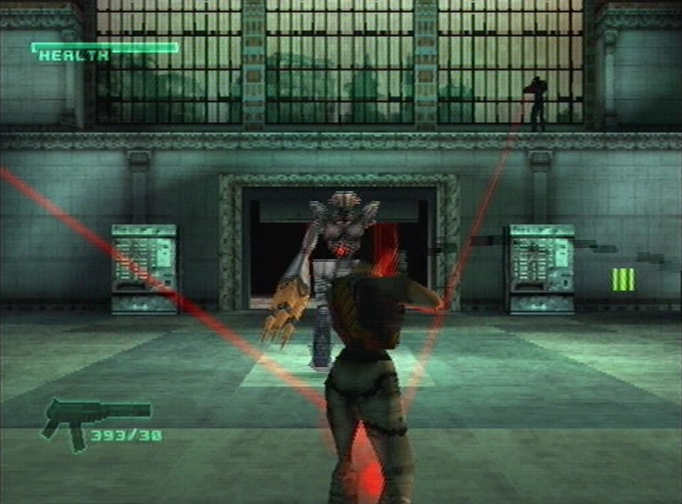 The game takes place over the shoulder of Vaughn, while also allowing you to zoom in using the right shoulder button, scan enemies and aim with more precision. The lock-on, meanwhile, lets you manoeuvre at the expense of accuracy. 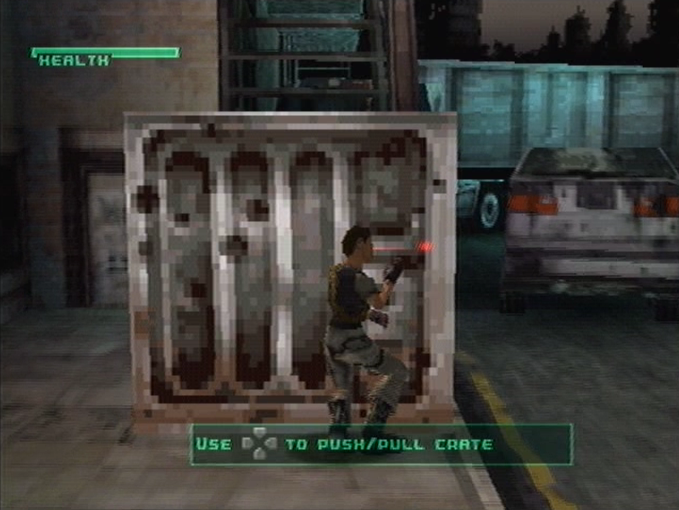 It’s not perfect, mind, as the camera has a tendency to get stuck on objects and the lock-on can be cumbersome to manage with multiple enemies on screen. But on the whole, playing C-12 is a smooth, enjoyable time mechanics-wise. Don't shoot the computer, it's not its fault! ​The levels also feel quite impressive. They tend to lean towards the larger side, with multiple mini-areas tied together with minimal pause between them. There can be some backtracking involved, but it never feels tedious, and navigating C-12 is usually enjoyable. The spread of gameplay across these levels is also great: there’s full-on shootouts, more quiet stealth moments, gun emplacements to man and puzzles to solve. Vaughn earns both an impressive assortment of weaponry and a good deal of key items, as you utilise both block pushing and keys to break a path through. It’s a decent, varied ride which keeps you mostly engaged until the end. But, there is one issue which may turn off a lot of players. Generally speaking, C-12 is a manageable game, as the first few levels keep the challenge steady while leaving room for error. However, some horrendous difficulty spikes rear their ugly head, replacing a focus on skill and item management with dumb luck. You’ll often go an age without encountering a save point, only to lose all that progress with cheap deaths. Enemies begin to block attacks with shields, hidden minefields combined with patrol drones cause headaches and it shifts from fun to frustrating. It’s a shame, because the latter part of the game becomes tedious due to these excessive spikes. It’s a shame it also isn’t very lengthy. You could probably mop up the game in a little less than 10 hours – give or take, depending how much the harder segments give you trouble – and there are no extra modes beyond the campaign. There’s no unlockables, only one difficulty and not much incentive to go through again. It’s a bit poor. C-12 is, on the whole, a good looking game. Characters appear defined and detailed, the enemy alien designs look and animate impressively, the levels are large and detailed and the action moves at a mostly steady clip, bar a couple of late-game shootouts. The sound is somewhat mixed. The voice acting is appropriately camp, adding charm to the story. What aren’t good are the dialogue bugs, which desynch the acting with the cut-scene, and looking wholly unpolished. The guns feel appropriately chunky, especially the alien-powered gear and the music, despite being a bit understated at times, has a couple of good tracks. C-12: The Final Resistance is an enjoyable sci-fi romp only held back by a couple of more serious quirks. It unashamedly borrows from Syphon Filter, but the result is a well-made action game that has reams of gameplay to mess around with. Perhaps if the difficulty had been smoother and there was a lot more content to play through, it could have been a latter-day killer-app for the PSone. As it stands, it still has enough quirky charm and fun moments to be recommendable, just so long as you can get over its problems. "Perhaps if the difficulty had been smoother and there was a lot more content to play through, it could have been a latter-day killer-app for the PSone... but [C-12] is a well-made action game that has reams of gameplay."